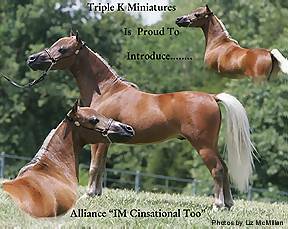 2006 AMHA World Champion Yearling Stallion!!!!!!!!!! and 2nd in the Nation on AMHA Honor Roll under Yearling Stallions ! We needed an outcross stallion to cross on our mares, therefore that is why we sold Buckeroo Bishop and added Cinsational. 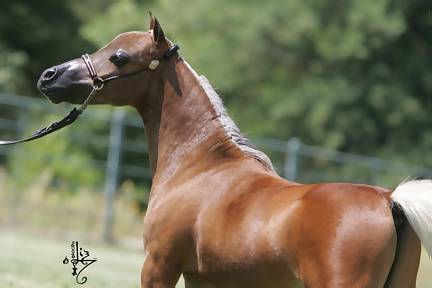 He was named 2006 AMHA World Champion Yearling Stallion 28-under. He was also the Unanimous Regional Championship Yearling Stallion, along with many other titles. Cinsational is as well bred as they come. His sire's full brother is one of Windflight's top stallions "Spectacular Bey", a Patton son. 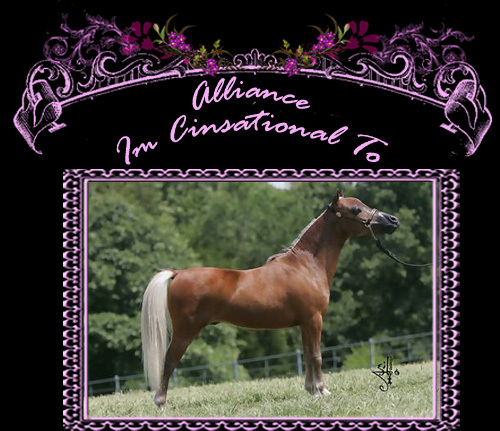 His dam is AMHA World Champion mare "Aint She Cinsational". 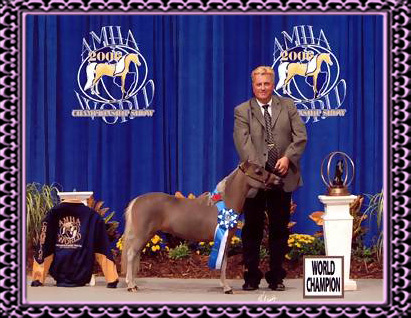 His sire is WF Steppin Out, own son of Glenns General Patton, and already has produced numerous AMHA World Champions. After much research we felt this is the guy for us. 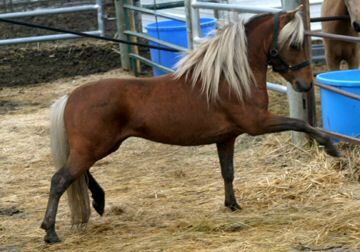 He is considered a silver bay, which will cross well with our buckskin program. We expect mature height on Cinsational to be around 31 inches. He has a baby doll head, level topline and high tail set with ultra small body. He looks leggy for his height and that is one of the many features we loved about him. 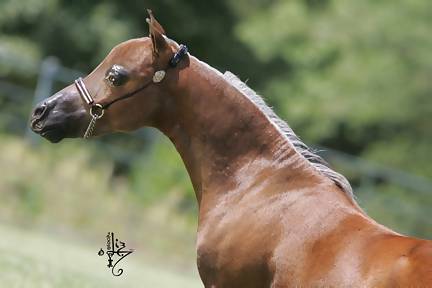 He was an outstanding addition to our program, producing gorgeous, show-winning offspring that have gone on to make a name for themselves.